We have already talked a lot about backups and their importance in our earlier posts. Even though backing up a desktop machine might be something most users do these days, doing backups for mobile devices is still a thing that’s often overlooked by many. Your Android gadget, which offers thousands of apps and functionalities, if by any chance gets wiped out or lost, all your data and customizations would vanish instantly. You wouldn’t want that would you? Don’t panic just yet. Here’s a complete guide to backing up every bit of data and customization you have on your Android device. The topic of backups has been discussed ad nauseam on tech blogs and the blogosphere. However, smartphones have usually been excluded from this mandatory ritual. One reason for this might be the fact that taking backups on smartphones is not as simple as it is on desktops. There’s no drag and drop or Ctrl + C / Ctrl + V, and your fingers get tired just navigating through the different menus. 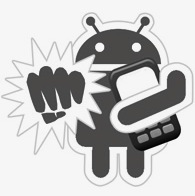 Well, that may be the case with other mobile platforms, but our beloved Android takes the backup issue quite seriously. Most Android phones come built in with the ability to sync all the important data to the cloud. The cloud server in this case is none other than your very own Google account. As your Android phone is connected to your Google account, you can sync all your important data with it. Here are some of the kinds of data that you’ll be able to backup/sync: Google Docs, G+ notifications, Google Reader Data (if installed), Contacts, Gmail, Picasa Web albums and Calendar. To enable the sync feature, go to Settings -> Accounts and Sync. There, you’ll see your Gmail id listed. If not, click on ‘Add Account’ to do so. Clicking on your ID will reveal a set of options that allow you to choose which services to sync and which not. Simply select the services you want to sync and rest assured that all your data will be saved safely in the clouds. N.B: The syncing capabilities and options might vary according to the model and operating system version of the device. To backup other important data like Wi-Fi passwords, application data and other customizations, you’ll have to enable Automatic backups. Here’s how to do it: Go to Settings -> Privacy. Here, enable the option that says ‘Back up my data’. You can also enable Automatic restore so that whenever you reinstall a particular application, all your customizations to that app will be restored automatically. Now that you have backed up all your important settings and customizations, it’s time to backup your SMSes. Below, we’ve listed 3 of the best apps that will allow you to back up and restore all your SMSes. 1. SMS Backup: This free app lets you backup all your SMSes to your Gmail account. SMS Backup will create a separate ‘Label’ in your Gmail account titled SMS. From there, you’ll be able to access your backed up SMSes instantly. You can also set the app to Auto Backup all your messages. 2. SMS Backup +: SMS Backup + is another free app which lets you backup all your text messages, MMS messages and your call log entries to your Gmail account. Like the previous app, it also creates a separate label for SMSes, MMSes and call logs. Moreover, you can also restore your data back to your phone (MMS excluded). 3. SMS Backup and Restore: This app comes with more features as compared to the aforementioned SMS backup apps. SMS Backup and Restore is a free application that will let you backup your SMSes to the SD card in XML format. The backups can then be restored with the help of the original app. Furthermore, SMS Backup and Restore also supports scheduled backups and more importantly, the ability to send the backup file by email. What's more, there’s also an option to backup only selected messages so that you won’t end up bloating your backups with all the ‘Are you there yet?’ and ‘Where are you?’ kind of messages. The application is perfect if you’re looking for a simple old-school way of doing backups. If you’re a trendy hipster geek who has moved all your belongings to the cloud, here’s a great app that will help you backup your droid data there. Sprite Backup 2: This is by far one of the best backup applications for Android. It will let you backup all your important data to your Internal memory, SD Card, Box.net or your Dropbox account. With Sprite, you can backup your Application Settings, Bookmarks, Call logs, Contacts, MMSes, SMSes, Music, Photos, Videos and System Settings. If you lose your phone and happen to purchase another device, install Sprite on it and restore all your backed up data easily. The app also lets you Schedule backups that can be restricted only for Wi-Fi connections. That will make sure that you won’t incur unnecessary data charges while on roaming or 3G. Unlike other apps we’ve mentioned today, this app is not free. However, looking at the amount of features it offer, I’d certainly recommend you to buy it. If you use the default Android browser, you can backup bookmarks using any of the aforementioned apps. In case you are using Dolphin Browser, you can use an add-on called Bookmarks to SD. This free add-on will let you back up and restore all your bookmarks to your SD card. Also, if you are a Firefox Mobile user, you can enable Firefox sync so that all your important data (including bookmarks) will be backed up to the server. Additionally, you can also view the tabs you’ve opened on your sync-enabled Firefox on the desktop. This is purely for the brave and adventurous souls out there who have managed to take absolute control over their phones. As rooting is perfectly legal, many users have done it so as to unleash the full potential of their mobile phones. Here are two amazing backup apps specially designed for rooted phones. Titanium Backup: This is a great app that has over 2.3 million users so far. It’s the only tool that can backup, restore, freeze (Pro version only) your apps, data, and market links. Titanium also supports protected and system apps. The free version comes with limited features while the Pro one, which comes at a small price, gives you all the backup features you can possible think of. Another interesting feature about Titanium is that it allows users to perform various batch operations making it a perfect app for the geek-next-door. Not exactly an app you’d root your phone for, but definitely one of the most important apps for a rooted device. 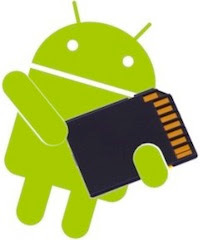 Clockwork ROM Manager: This app, apart from letting you flash your recovery mode to the latest Clockworkmod, lets you easily take backups and restore them to your SD card. Clockwork ROM manager is basically designed to effectively manage your ROMs via a handy UI. The premium version of the app comes with more features like Automatic Backups and more. Touted as a must-have app for rooted users, Clockwork ROM Manager has over 1.3 million users so far. Angry Birds: Save your Saves is a free app that lets you backup and restore your Angry Birds game data without rooting your phone. There’s also another app called Angry Birds backup that provides the same functionality. For Angry Birds Rio users, there’s a free backup app called Angry Birds Rio Backup. Finally, there’s an app for folks who can’t stand even the slightest of changes they make on their phone. MyBackup Pro: This is one of the smartest backup apps for Android as it manages to backup almost every little customization you do on the device. Besides the usual Call logs, Browser bookmarks, SMSes, Calendars and Media, MyBackup Pro also manages to backup your home screen settings, dictionary, alarms, music playlists and more. You can choose to backup your data to your SD card or have it saved online. Other features include the ability to schedule backups and restore them if the phone gets changed. Again, like Sprite Backup, this app is not free, but certainly worth your money. Conclusion: Those were the best backup apps you could install on your Android devices. If you have to suggest any other application we might have missed out, do let us know using the comments section below.